This is one of the most frequently requested cosmetic operation in the UK. Treatment of relatively small areas an be carried out under sedation and local anaesthesia: anything larger is generally carried out under general anaesthetic (asleep) but may still be performed as a day case. For large areas, a night in hospital is advised. To access an area, two or more small ‘stab’ incisions are made. Mr Erel uses the ‘tumescent technique’ in which fluid is introduced to the ‘target’ area, partly to reduce bleeding but, also, to spread the tissues out. As a result, when the fat is then sucked out, the likelihood of damage to blood vessels and nerves is reduced. The ‘stab’ incisions are then closed with fine stitches and tape is applied to the skin over the area treated to help control swelling. A pressure garment is then fitted, either customised or perhaps cycling shorts for the tummy/hip/thigh region. This is best worn for 3 weeks after treatment. There is usually some discomfort straight after liposuction for which pain relief is given but this normally settles quickly allowing a return to normal behaviour and to non-strenuous work within a few days. Energetic exercise is not recommended for 3 weeks. Some bruising occurs which tends to settle by 3 weeks and there is some swelling, most of which settles in the same time but more subtle improvement continues for several months. Feeling in the skin can be quite numb to start with but has usually returned to normal by 3 – 4 months. The small scars sometimes do not fade as well as hoped for but are usually placed as inconspicuously as possible anyway. Very extensive liposuction at a single operation is best avoided as it can cause serious complications. The result depends on how well the skin settles over the treated area and many things, including age, can affect this. Mr Erel will advise about this at consultation. How many liposuction techniques are there? 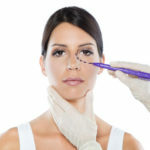 Oil absorption can be accomplished by various techniques: Classic liposuction, Power assisted liposuction, Ultrasonically assisted liposuction, Cold fat-melted Ultrasonically assisted liposuction, External Ultrasonically assisted liposuction, Laser Assisted liposuction and Water Assisted liposuction. Which of the techniques will work better? Oils can be melted more easily with ultrasonication or laser assisted liposuction. In addition, the tension on the skin can be better provided that the skin has not lost its elasticity. Since the prices of these machines are high, the surgery fees are more expensive. Proper patient selection and surgeon’s ability is more important and it is possible to obtain very good results with standard liposuction. It can be applied to women and men over the age of 18 who have no serious health problems, whose body mass index is below 30 but there are fat surplus in certain areas and whose skin elasticity is in good condition. Which part of your body can be applied? Liposuction can be applied to neck and neck regions, lower and upper abdomen, waist and bases, calves, upper arm and back region, each of which has a regional thinning expectation. In addition, good results can be obtained with liposuction in breast growths due to hormones seen in men. The purpose here is to correct the body contour. How effective are lower and upper body measurements on different ones? The weaker some women are, the weaker they are, they can not get rid of the fat in the basal and abdominal regions. In some people, there are differences in size between upper body and lower body. These disproportions on the body can be balanced by liposuction applications. Is there re-lubrication due to weight gain at the places where it is applied? Can it be done to lose weight? Liposuction is not an attenuation surgery but a shaping operation. It is a surgical procedure performed in certain regions of the body to remove increased fat tissues that do not respond to diet and other weight loss methods and to better shape body contours. It is a technique of taking oil from various parts of the body through specially designed cannulas attached to a vacuum pump. Can it be used in the treatment of cellulitis? Celluloid is a problem that causes painful modules in the connective tissue of the skin, creating the epidermis te orange peel appearance. Fat tissue protrudes from under the skin into the skin and forms this negative image. Although liposuction has been used previously in the treatment of cellulitis, aesthetic positive results have not been obtained and some patients have had skin damages. Weight loss, mechanical stimulation, infrared light, laser, radiofrequency devices and tropical creams (eg aminophylline and retinoic acid) can be used for the treatment of cellulitis.Mesotherapy is another treatment. Is it enough if there is looseness and sagging on the skin? If your skin is thin and has lost its elasticity and there are slackness and sagging, you may need a skin rejuvenation with liposuction. These include abdominal, leg and arm stretching and breast augmentation surgeries, which are most commonly used. Once they are overweight, methods such as arm stretching, leg stretching and lifting the lower body and creating a hip from the back are introduced. These operations, combined with liposuction, are aimed at bringing a young and healthy appearance to the full body. Do they have other uses? Fat tumors called lipoma, imbalance in fat distribution in the body called lipodystrophy and asymmetry in the mammals can be treated with liposuction. Good results can be obtained by transferring the fat tissue with the transfer of fashion in recent years, by transferring the fat tissue from the excess parts of the body through the various parts of the body and then transferring it to the missing areas (areas under the face, chest, hand or scar or radiotherapy damaged areas) . What are the risks that can be encountered in liposuction operations? For a healthy application during liposuction surgery, it is advisable to use up to 5% of body weight. As a result of too much fat removal, fluid balance in the body may be impaired and serious health problems may occur. Temporary side effects such as infection, bruising, swelling, pain and loss of sensation may occur after liposuction surgery. Contour irregularities and rarely scars and damage to the skin can occur in some areas. It is recommended that specialist plastic surgeons should do this in order to obtain healthy results from liposuction applications.